This article explores how Christians in management can reflect God’s love for immigrants during an era of rising nationalism. With increasing globalization, it is likely that Christian managers are overseeing foreign employees. At the same time, there has been a recent political pushback against immigration, international trade, and globalism. While Christians disagree over the politics of nationalism, the Bible is clear that followers of Christ are called to serve and love individuals from other cultures. As a result, this article discusses various obstacles that foreign workers and their families currently face in transitioning to a workplace in a new country. 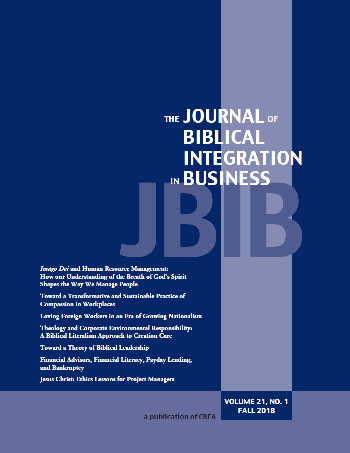 Thereafter, the article proposes specific ways that Christian managers may aid foreign employees in overcoming those challenges in accordance with biblical examples and values.